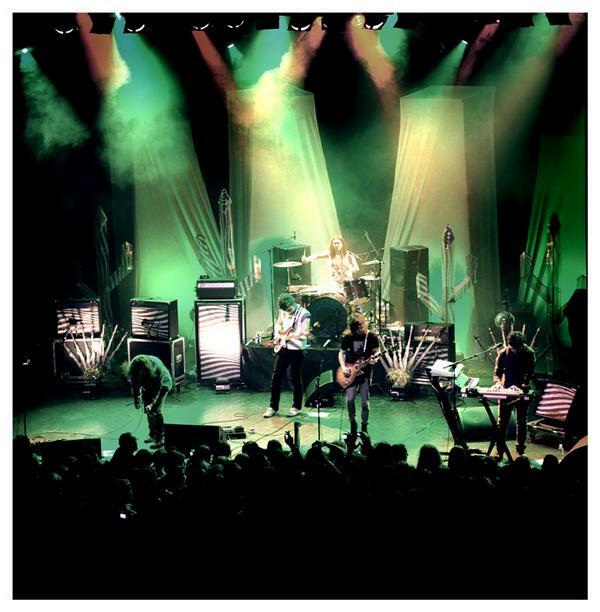 ::: Off the Radar :::: MGMT Tix Giveaway! Some great shows coming up next week in Miami including MGMT, Massive Attack/Thievery Corporation and Pheonix and we've got a pair of free tixs for each of them for you at OTR! Let's kick it off with MGMT who we all know from Kids/Time to Pretend/Electric Feel fame who will be performing for the first time in Miami next Tuesday, October the 26th at The Fillmore w/opening act Kuroma. This show sold out a while ago, but here's your chance to get in for free! Just comment below with a working email were we can contact you (no email = won't pick) and we'll pick a random winner this Thursday, simple as that! Here is a video for one of their latest tracks "It's Working" off of their sophmore album 'Congratulations'. Which is what I will be saying to one of you very soon. Good luck! YES PLEASE! I'd be one happy camper for any of the shows!! I wanna win tix to this AWESOME event. remember to include a valid email address! i won't consider picking if don't see one. friends included. gotta be fair. cheers! awesome new record, it must be a trip to see them live. Crossing my fingers!!!!!!!!!!! LOVE them!!!!!! Ray you're always making my day, I'll take this give-a-way`! Congrats to Lori #9 for winning tixs to see MGMT! I contacted her by email, but if for any reason she doesn't respond I will pick another winner. Cheers and thanks for participating! Keep trying we will have many other giveaways and I won't be picking duplicate winners so your chances will get better and better as time goes by.